Mr. Brian Tolby, the former owner of WSBB-AM 1230 in New Smyrna Beach, solved a "radio mystery" for me about some of the stations in Deland. Here is some of that email. 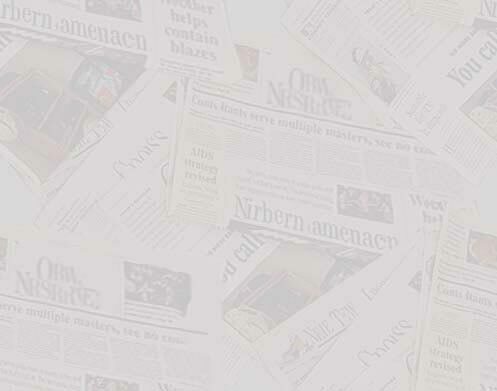 "...I worked there (WOOO) through (my) graduation at Stetson (University in Deland) and bought it (the station) in l960 from Shom Broadcasting, Inc. 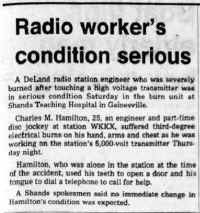 When it went on the air it was 500 watts. 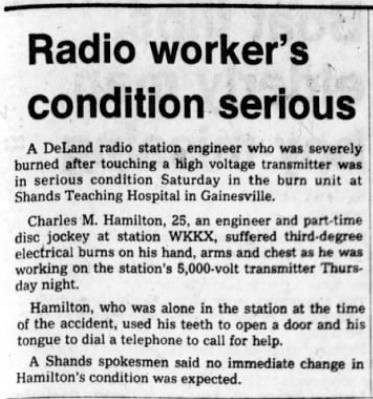 Went to 1,000 (watts) in 1961 and to 5,000 watts in '62. 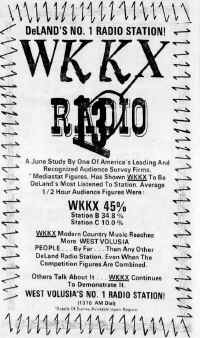 It remained as WOOO until I sold it to Tom Joyner from Texas, in l975 when the call letters changed to WKKX. 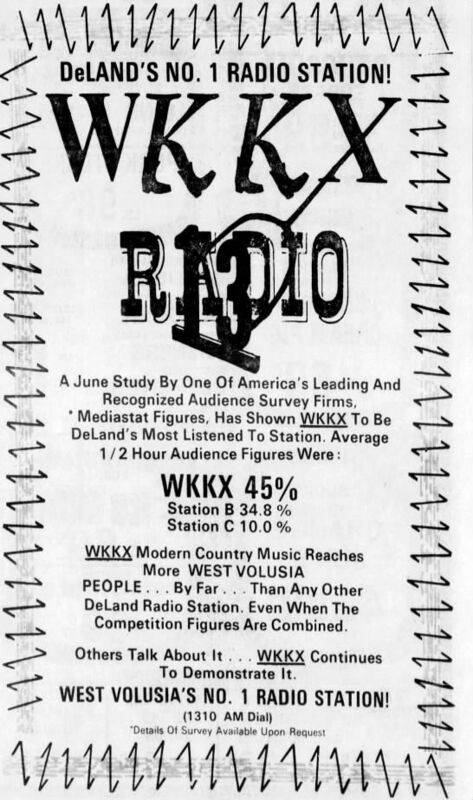 In that same building...where WYND is today was WDLF-FM 105.9..."
Ashley "Tom" Joyner-1973-Co-owner/General Manager/1974-President-Deland Broadcasting, Inc.
Brian Tolby-1973-Commercial Manager-Deland Broadcasting, Inc.
David R. Hill-1973-Co-owner-Deland Broadcasting, Inc.
Fred West-1969-1974-Program Director/Music Director-Deland Broadcasting, Inc.
Dave Kennedy-1974-Promotions Manager-Deland Broadcasting, Inc.
Tammie Williams-1974-News Director-Deland Broadcasting, Inc.
Bruce Ruckert-1974-Chief Engineer-Deland Broadcasting, Inc.
Chris Rodgers (Greg Ruckert)-1974/1980-1981-Afternoon Drive/Hosted "Swap Shop"-Deland Broadcasting, Inc. 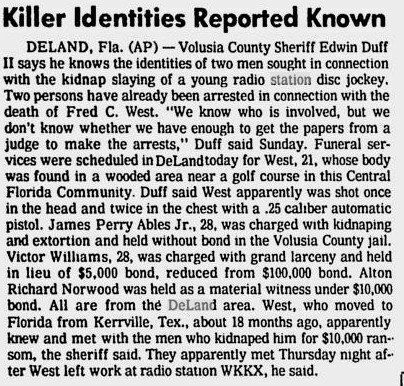 In an email from Greg Ruckert on the murder of Fred West; "...After Fred’s (Fred West) murder and Tom Joyner moved back to TX, Brian Tolby took over the station again and I stayed for about another 6 months before leaving to work for several ABC Lounges DJ-ing around the state (but, mostly in Volusia/Flagler counties, then had a longer stint at the DeLand ABC). I later did some production work for some local stations..."
Terry Arnold-1987-Station Manager-Buddy Tucker Association, Inc.